Bell pepper suppliers have noted that production has been lighter in recent months, which they say is mainly due to weather events from last fall. A number of US companies are sourcing bell peppers from Sonora in Mexico at this time of year, and although there has been generally cooler weather in this region, considerably more severe weather last fall has meant that shipments into the US have been slower. 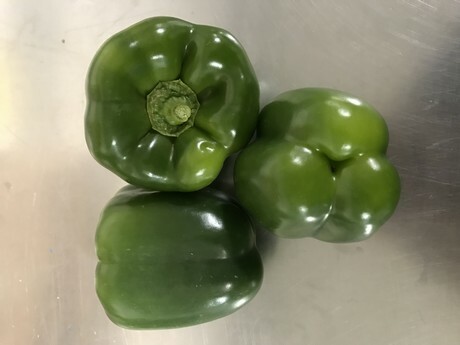 "We are currently sourcing bell peppers from Sonora, starting from November and extending through to March," shared Raquel Espinoza of Produce House. "There have been a few cool fronts in the past few weeks, but it has not been so severe as to cause any major issues. The accumulated weather events from September and October have affected supplies, and along with the more recent cooler weather, production is slower." With supplies lighter, bell pepper prices are good. Demand is slower also which is keeping the overall market well balanced, Espinoza noted. "The market on green peppers is stable right now as there is a nice balance between supply and demand. Currently, prices are in the low $20s. At this time of year, normally other regions tend to produce more bell peppers, but we are not seeing this." She added that this situation is likely to last a few more months. "Our green pepper supplies are remaining consistent and we expect to continue through the next few months. We will continue to develop our green pepper program each season." Produce House came into existence as a company in 2015, but the team has been in the business for much longer. The company's current bell pepper program has been going for three years now. "This is our third season for bell peppers and we continue to develop the market and see what customers' preferences are," Espinoza said. "In the future, we are looking to introduce other colors into the lineup." Part of this evolution is packaging and Espinoza announced that Produce House have recently introduced a new display box. "The introduction of the display box has proven to be very popular," she observed. "The boxes can be size-specific and each pepper has an individual PLU sticker. Bulk boxes for the domestic market have also been doing very well. Produce House has the capacity to offer RPCs, special labeling, and other packaging options on request."